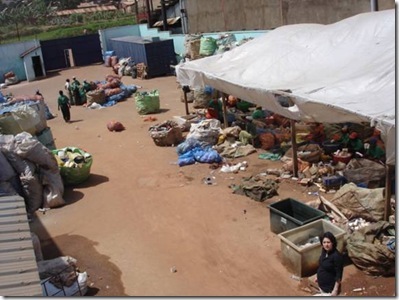 Mrs. Sterenberg Salinas, regularly working in Kampala, encountered the obvious problem of bottles littered in the streets of Kampala and saw an opportunity for a PSOM project by recycling and adding value to waste. 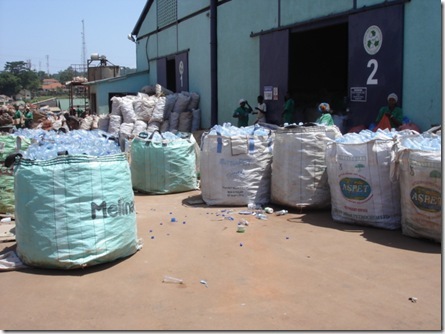 Mr. Somani of Rwenzori also had a desire since many years to, as a producer of plastics, take corporate responsibility and contribute to the solution of discarded waste. Both Mrs. Sterenberg Salinas and Mr. Somani joined hands and found a partner in Plastic Herverwerking Brabant from The Netherlands. 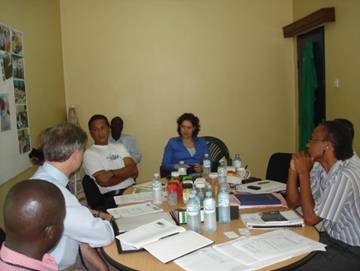 Since September 2004 both PHB and Rwenzori have been discussing how best to develop plastic recycling activities together in Uganda. 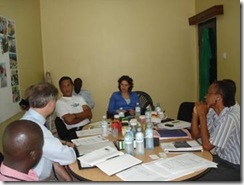 The discussion also embraced the approach of developing an appropriate collection system. 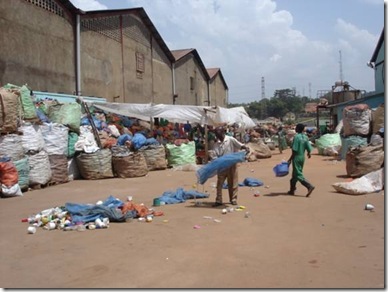 Both partners saw a viable opportunity for the recycling of plastic post consumer waste in Uganda. A PSOM proposal was submitted to the EVD in The Hague in August 2005 and was rewarded a PSOM subsidy in December 2005. 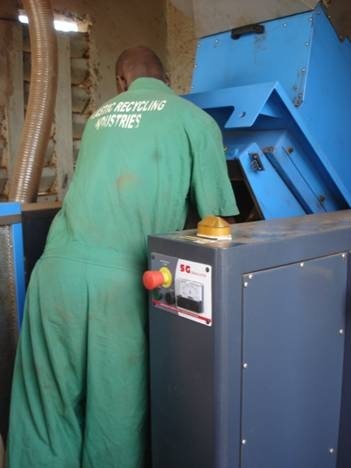 Plastic Recycling Industries (Uganda) Ltd would was legally formed beginning of 2006. 2016: PRI Ltd. was purchased by SAB MILLER around two years ago. PRI is still running and they have installed a new water treatment system and are producing 3.000 MT a month approx. PET bottles are used for e.g. mineral water, juices and cooking oil. HDPE is used for the production of crates, buckets, jerry cans, shampoo and cosmetic packaging, and LDPE for industrial sheet, film and plastic carrier bags. 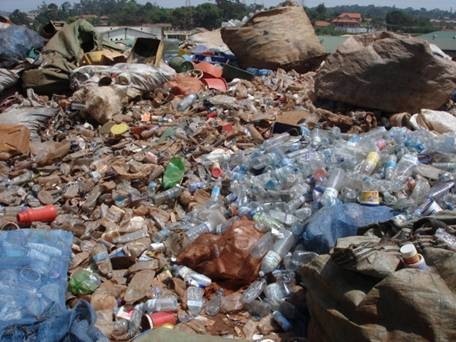 After consumption plastic waste is discarded, it ends up on household garbage heaps, at the Kiteezi landfill, alongside roads, on agricultural land, or is burned (“back-yard” fires). This not only result in visual pollution, the air pollution as a result of burning plastics is tremendous. As main producer of bottled mineral water, packed in PET bottles, Rwenzori Beverage Ltd. feels that it should take corporate responsibility and reduce the negative impact on the environment by recycling plastic waste. 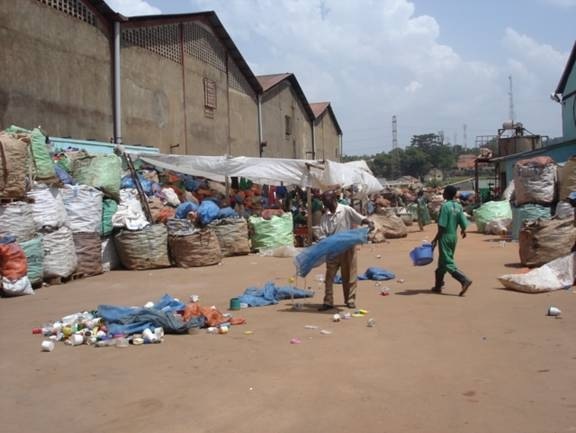 So far, post consumer plastic recycling has been restricted to one or two small scale semi-commercial enterprises in Uganda and no large scale recycling activities have been attempted. This is because there is no organised and efficient collection system in place and its development requires great effort, funding, organisational capacity and risks. Obviously, the input of sufficient waste material is crucial for the operation of a recycling process. 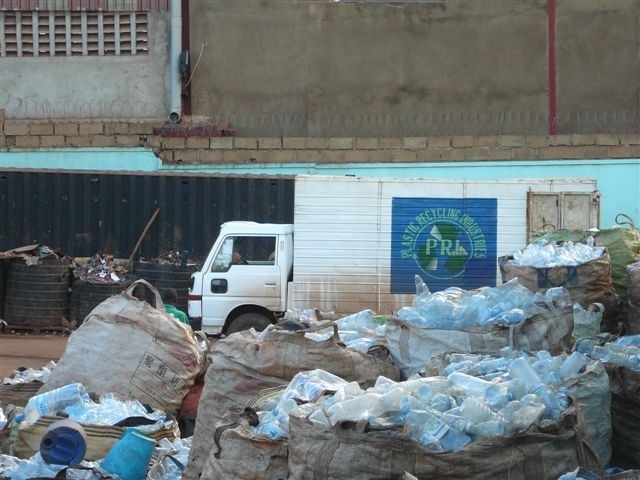 PRI, starting as a Pilot Project will demonstrate the commercial viability of post consumer plastic waste recycling in Uganda. The purpose of the project is to establish a pilot industrial post consumer plastic waste recycling process. The input material is collected and pre-sorted PET bottles and (HD)PE products. The end product consists of washed and dried flakes. PRI will export these flakes to international markets (e.g. India, China, Pakistan, and Indonesia), regional markets (e.g. Kenya, South Africa) as well as sell its end product on the local market. Flakes can be brought back into the production process with virgin material. 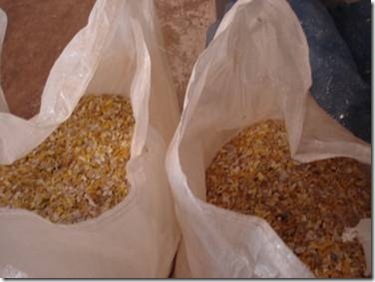 10 to 50% recycled flakes can be mixed in without reducing the quality of the end product. The capacity will be a washing recycling installation of app. 650kg/hr input. 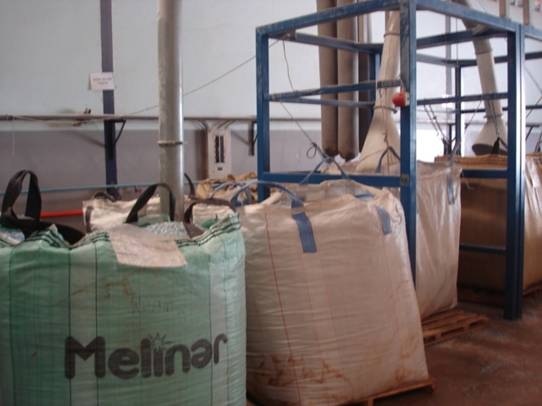 The aim is to process 500 tonnes (t) of PET and 500t of PE in the second year. The third year PRI wishes to produce 1.100t PE and 1.400t PET flakes (the ratio of processed PET/PE might change when more PET and less PE is collected). PRI will employ a total of 30 people during the pilot project. 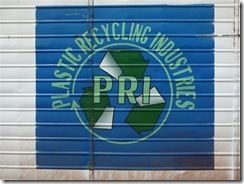 Plastic Recycling Industries Ltd. (PRI) has finalised the last result on the 29th of February 2008. 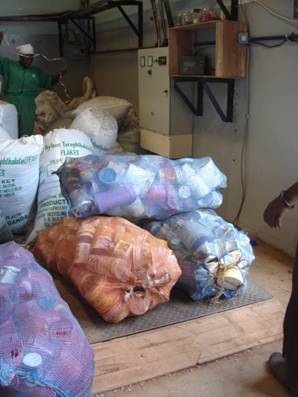 That day it produced 651 tonnes of recycled post consumer plastic waste. PRI now employs 30 persons. Also 40-60 woman work on temporary contracts. The indirect employment is considerable and is estimated to be 800 persons. Both directors, Mr. Driessen and Mr. Somani, were present and signed the Protocol of Production with great pride. 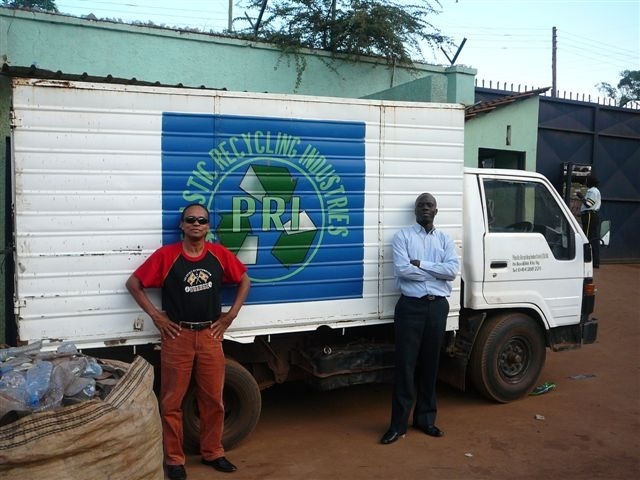 Since its start PRI has gained much respect and reputation in Kampala. Many Governmental and non-governmental organisations have visited PRI. CNN made a short news item for CNN World report, several Ugandan ministers have visited, Bill Gates Foundation came by, UNIDO paid a visit in February 2008 and BUDS (Private Sector Foundation Uganda) has offered to assist in financing new machinery for the spin off. Most hotels in Kampala collect their plastic bottles for PRI to pick them up. Hospitals collect all their plastic waste and their drip bottles and many organisations are collecting for themselves for sale to PRI. 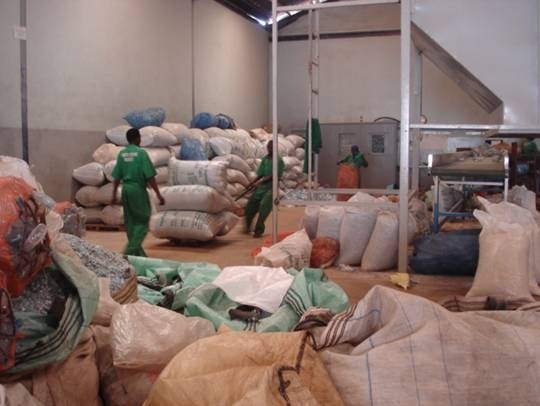 PRI has established itself in the market, is know throughout Kampala and exports successfully to China. 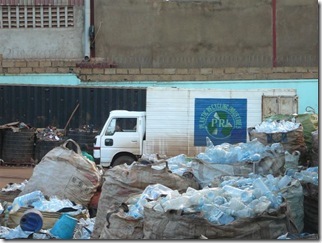 One major positive effect is that HDPE (jerry cans, yogurt containers etc.) is mostly sold and consequently re-used locally. 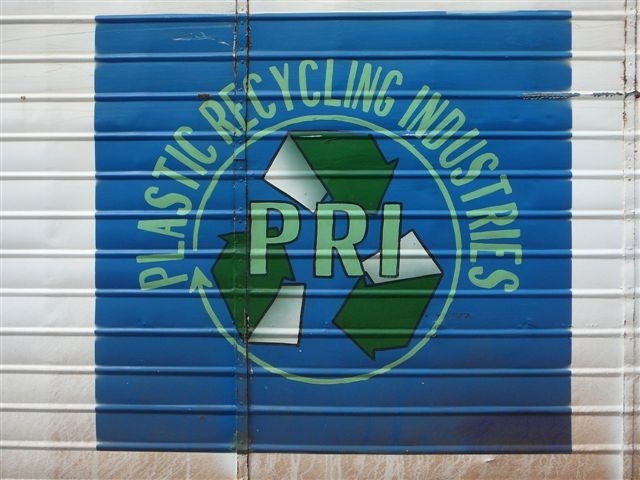 Many companies producing HDPE products send their factory waste to PRI to be recycled so that they can mix it back into new production. They now have to import much less virgin material into Uganda, saving on costs, transport and indirectly on environment impact. Another very positive effect is the creation of direct but mostly indirect employment on a relatively large scale. PRI estimates that at least 600 persons have gained a new living through collection and sales of post consumer waste. Many women have made it their job to collect plastic waste and deliver to PRI on a daily basis. This lady delivers around 40 kg per day at PRI. Worth payment of 4 to 5 euro. 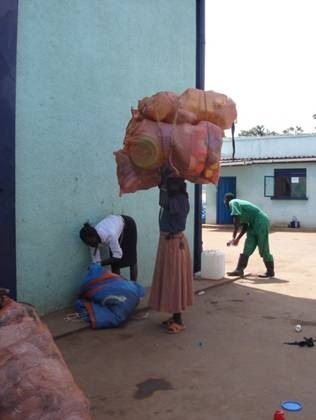 The lady that just delivered her collected waste (HDPE containers) has her waste weighed on the PRI scale by a PRI employee. Her name and today’s delivery is registered. She is paid directly at the PRI payment office. PRI production area. 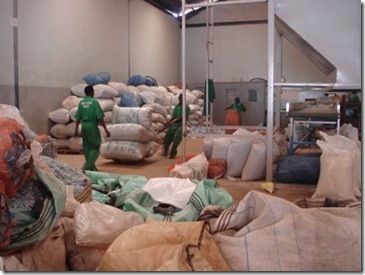 Packed bags are stored until the next container leaves for export. 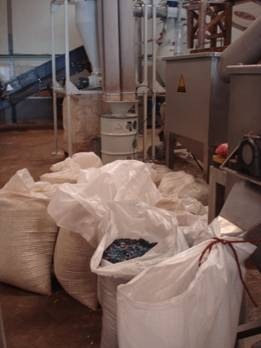 HDPE recycled flakes from water bottle caps (bottle is PET) is separated by the equipment (sink float system) and stored and sold separately. Two-coloured HDPE yogurt containers are run into the recycling line and gives a high quality HDPE flake as it has no other colours mixed in. 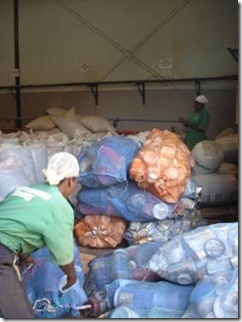 At the end of the recycling line, the PET flakes are collected in larger big bags for export. Behind the PRI factory building: storage waste waiting for first pre-wash and granulation to remove the most of dirt before being fed into the recycling line. PRI ordered a custom made (in Uganda) washing machine to pre-wash the dirtiest bottles and remove most dirt and sand particles before feeding the material into the recycling line. 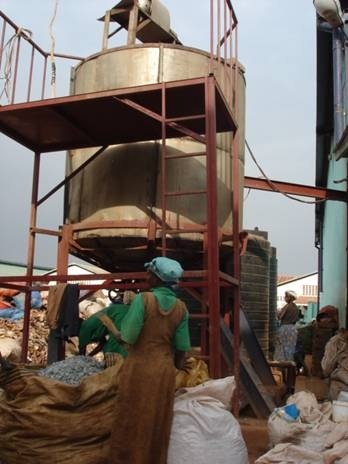 A Chinese granulator/shredder has been purchased to pre-granulate the dirties of bottles. 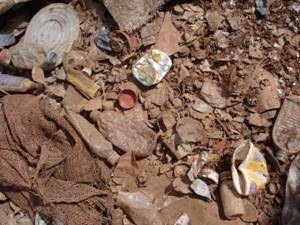 Many bottles have so much dirt that they ware out the knives of the recycling line too quickly. 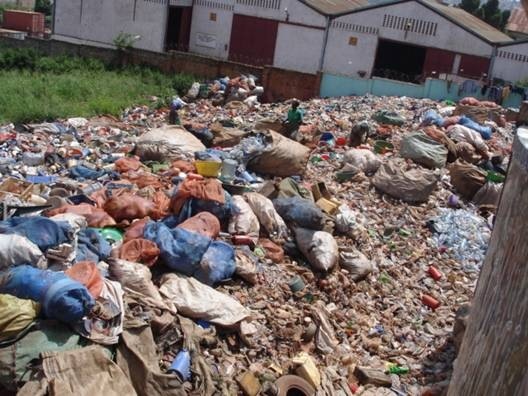 Waste material in Uganda is much dirtier then can be found in Europe. 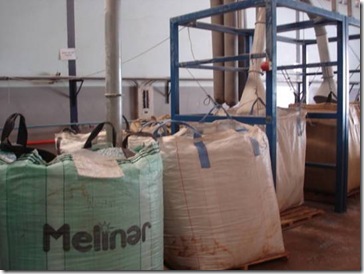 The knives of the main granulator (from The Netherlands) in the recycling line are very costly to purchase and sharpen. This made the partners decide to purchase a cheaper, lower quality granulator from China with cheaper knives to pre-granulate the dirty material. This dirty material is then washed in above mentioned pre-washing machine to wash off the dirt. This pre-step gives the end product the highest possible quality. 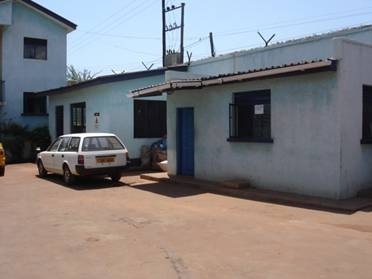 PRI offices, kitchen, and workshop/meeting room: downstairs; changing rooms and toilets for staff upstairs, first floor. 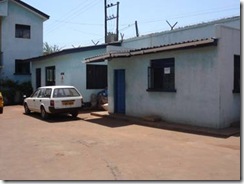 PRI office for cash payment of collectors after having weighed their brought in materials. PRI car. Clean bottles from hotels just brought in, ladies are checking whether there is no contamination or other bottles mixed in. Then ready for processing. A secondary development PRI would like to mention here is that since this project has started to be known throughout the country and more and more Ugandans have learned that money can be made from taking plastic bottles from their environment, the practice of burning of plastic bottles has become much less. 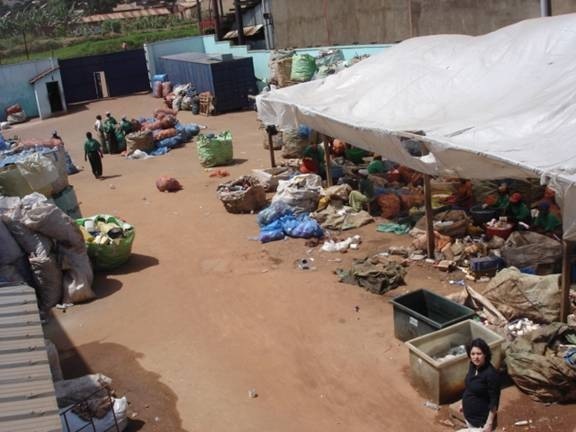 Since day and age, coming from the airport in Entebbe into Kampala area, the air would smell of burned plastics. Many people feel this typical smell has changed and reduced considerably and noticeably. 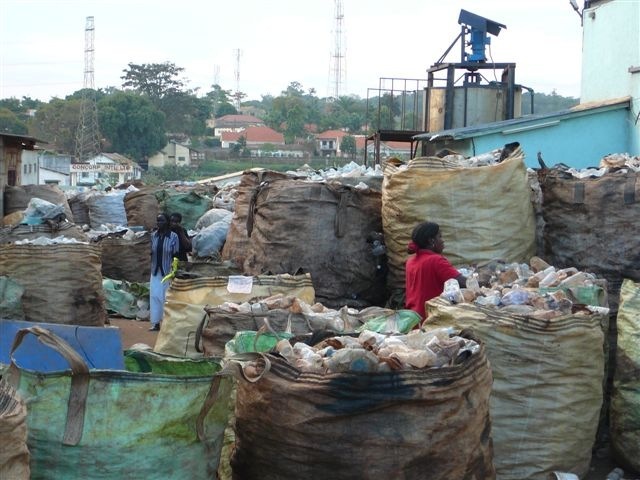 Plastic bags are still burned by Ugandan households but the strong smell of burning PET and PVC bottles has very much been reduced. Although we cannot prove it, we think that this very positive effect is due to the development of PRI’s activities. 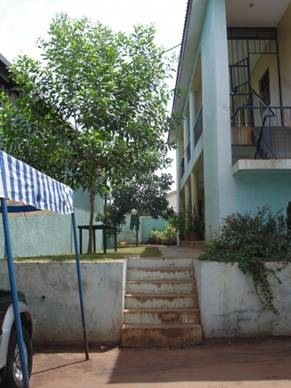 Latest pictures: JUNE 2010, courtesy of Joost Bolt from the EVD. Still lots of plastics coming in………….